This product is discontinued with a projected last order date of December 31, 2018. The suggested alternative is MD-1002. 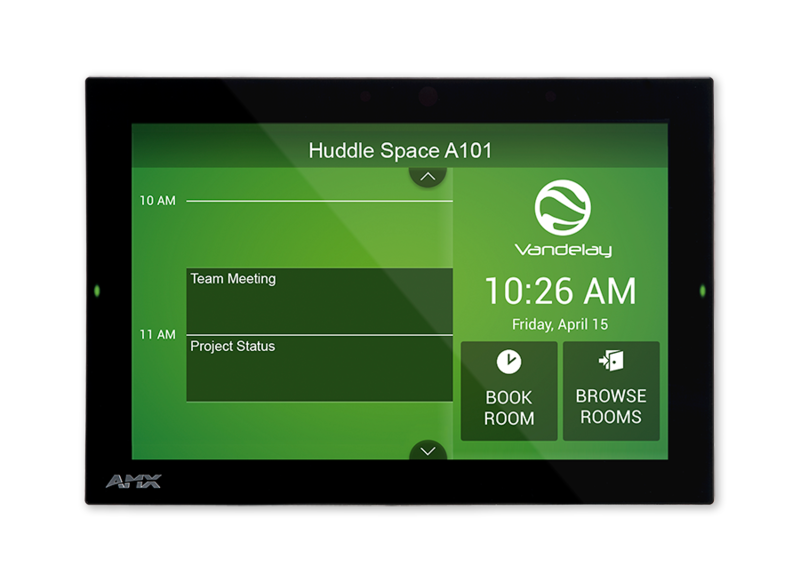 The Acendo Book 10.1" Touch Panel is a standalone scheduling panel that integrates directly with popular room scheduling software like Microsoft Exchange, Office 365, and Google Calendar without additional system hardware requirements. The user interface background color and built-in room availability bars change between red and green to show room availability so users can easily locate and book an available room directly from the panel and, if that room is currently booked, users can quickly locate the nearest available room or the next available time with ease. 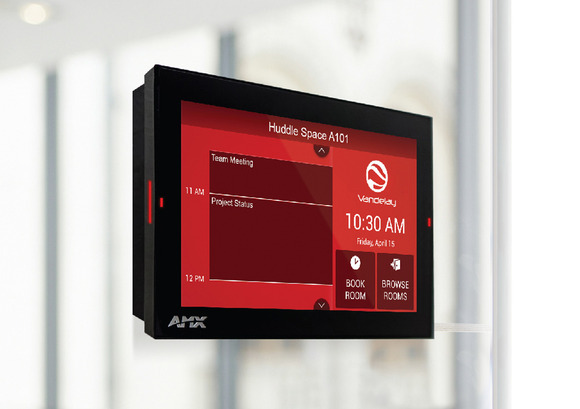 Leveraging the style and cost-efficiency of our award winning Modero S Series Touch Panel, ACB-2110 includes SmoothTouch™ Technology, a brilliant full-color high-resolution display, wide viewing angle of screen and availability bar LEDs, and a low profile design for a subtle aesthetic. 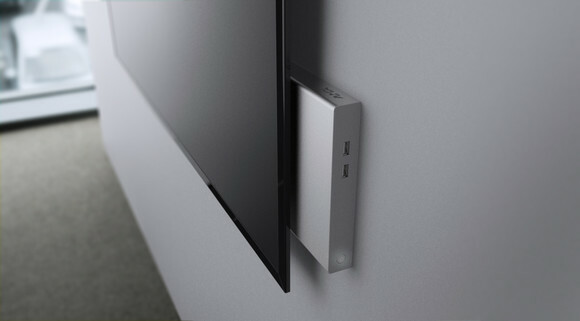 The ACB-2110 can be mounted on any flat surface, including glass or stone, inside or outside a conference room or classroom. 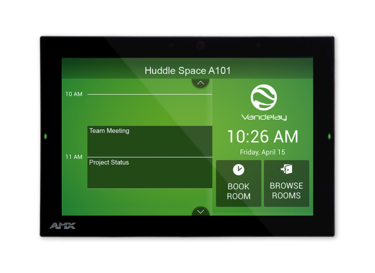 ACB-2110 is easy to install using a one-time, panel-based configuration wizard, to get the panel operational in a matter of minutes with minimal training. Front Panel Components Sleep Button, Programmable Red/Green LEDs. See Data Sheet for details.